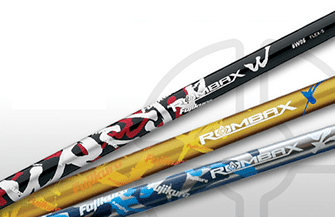 Introducing the new generation of Rombax shafts. Rombax Type-X features Vectran in combination with Kevlar Triax. Vectran fibers suppress the immediate vibration of a shaft more efficiently. Kevlar Triax reduces ovaling and stabilizes the head at impact. The blend of these two technologies produces a strong and stable impact, resulting in greater power and control.